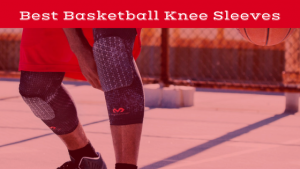 Whether you are a competitive adult league basketball player, a parent, or simply a casual fan of the game, it can sometimes be difficult to find the right basketball suitable to all conditions of play: indoor vs outdoor, wood vs asphalt, for example. To help you out with this dilemma, allow me to provide insight into the different types of basketballs available to you from the best basketball brands like Spalding and Wilson. Learn more about the top seven basketballs in order, of top-rated on down to the one ball that we would avoid. Hopefully, this will make it a little easier to get the most out of the beautiful game of basketball. Did You Know: The First Basketball was Created in the Late 1800s! Wilson Evolution Indoor Game Basketball Review: This leather basketball ranks at number 1 on the list because, quite simply, it is the best feeling basketball on the market. It has a particularly soft feel, which allows for incredible control when shooting and handling the ball. 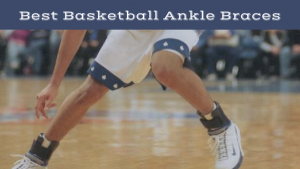 It will make you feel like a better basketball player. The soft feel comes from advanced technology which is no doubt a product of Wilson’s experience as a basketball manufacturer. Sponge rubber and ultra-durable butyl rubber are combined to create this ball, with a microfibre composite leather exterior. If you’re anything like me, that won’t mean a thing to you, but what it results in is hard to argue with. The leather exterior means it is only suitable for indoor use, but if you can find a way to ensure you do lots of your balling inside, this ball is as good as it gets. Spalding NBA Zi/O Excel Basketball Review: Another great ball, the Spalding NBA Zi/O Excel is suitable for indoor use and outdoor use, and will improve your handles with its deep channel design. The beauty of this ball is that while it is created of a composite leather to allow for use indoors and outdoors, it maintains the soft feel of a true leather ball. This gives you the best of both worlds, and will allow you to maximize the use of your new ball. Further to this, it is highly durable, meaning that even with the excessive use you will likely put it through in your attempts to improve your skills, it will stay with you for a number of years. Molten BGG Composite Basketball Review: The Molten BGG is made of composite leather, but excels in that it also feels very similar to real leather. This is the official ball of Olympic Basketball, which suggests that Molten have done something right in its production. It should be used primarily as an indoor basketball. This ball has an excellent feel coming off the fingers, and should help to improve your shot. Furthermore, it is a highly durable ball, which largely offsets the somewhat expensive price tag as you will be able to use it for many years. Overall a great basketball for indoor use. Spalding NBA Street Basketball Review: This is the best outdoor basketball on the market. It has a rubber exterior, hence why it is best for outdoor use, and is extremely durable. This durability is vital for an outside ball, which is often exposed to harsher floor conditions than indoor balls. Generally, the price you pay for this durability is a reduction in the soft feel, but the Spalding NBA Street basketball does a great job at minimizing this issue. The ball, despite its rubber covering, has a great grip and a solid feel, which will allow you to maximize your potential and become a better street baller. 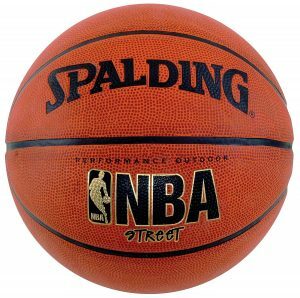 Spalding NBA Indoor/Outdoor Replica Game Ball Review: As the name suggests, this ball is an exact replica of the ball used in the NBA. If this is the ball used in the best league on the planet, you might ask, why does it only come in at number 5 on this list? While this is a great ball, there are a couple of factors which push it down the list. Firstly, this is one of the only genuine leather balls still produced – because of this, it takes quite a long time to break in. That is, when you initially begin to use the ball, it will likely feel very hard, and could take months of use to completely soften. When it does though, it will feel as good as any other ball on this list. It should, though, be predominantly kept for indoor use. The other drawback of this product is the cost. It will probably cost you around $140, which for some may be reason enough to opt for another ball. If you have the money and the patience to break it in though, this ball could be a fantastic choice. 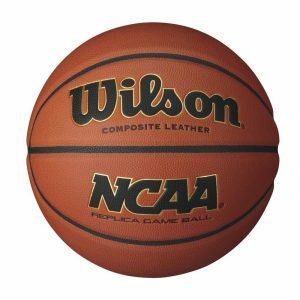 Wilson NCAA Replica Game Basketball Review: Another ball which is used in high quality competitive leagues, you know that this ball must have something going for it. Made of composite leather, it utilises cushion core technology to create a soft feel and heightened control. This ball can also be used inside and outside, which may be a major factor for some of you. Another great benefit of this ball is the cost. This bball is also competitively priced. Overall, it’s absolutely a great ball. 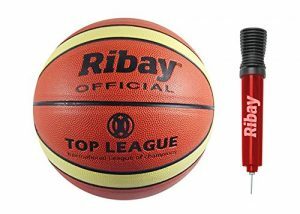 Ribay Size 7 Basketball and Pump Review: Another ball made of composite leather which can be used indoor/outdoor. This versatility makes it a great buy for many people, and it comes at a very reasonable price. Plus, you get a pump with it! The ball has a nice feel, with good grip and bounce, and no overwhelming flaws. The design is similar to the Molten GG7, with extra grooves through parts of the ball altering the feel when you hold it. For some, these grooves enhance the feeling of control when shooting, while others may find it uncomfortable. Overall though, this is a very solid basketball with no major flaws. Under Armour 295 Official Size Street Basketball Review: Under Armour was the first company to discover Steph Curry, offering him a huge contract before he became the star he is today. You’d think they’d know something about basketball, but unfortunately their ball design has fallen pretty flat. The composite leather production means it is suitable for indoor use and outdoor use, but the major problem with this ball is the appearance and feel. The black ball is covered in an enormous orange Under Armour logo, which not only looks tacky, but acts as a detriment to the feel of the ball. The grooves which surround the logo mean the ball possesses a very inconsistent feel, with every shot you put up featuring a different combination of grooves underneath your fingertips. This makes it very difficult to shoot consistently, and for the inclusion of a huge piece of advertising on the ball this is not worth it. Give this ball a miss. Spalding: Spalding has been in the sports equipment industry for almost 150 years, and in that time have developed a fair amount of pedigree. 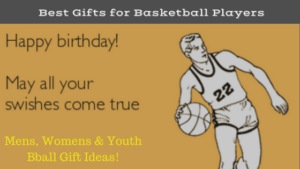 They produce a variety of balls and other sports equipment, but specialize in basketballs. For over 30 years, Spalding has been the official ball of the NBA. Clearly, the brand has a lot going for it. They also lay claim to having the biggest range of basketballs going around. A look at their website shows why, as they offer balls for indoor use, outdoor use, combo use, as well as offering a wide range of designs for those who want a ball which will stand out from the crowd. Wilson: Having produced some of the best basketballs for almost a century, Wilson has ample experience producing basketballs. They lay claim to being the world’s leading manufacturer of sports equipment, and basketball is one of the sports they specialize in. 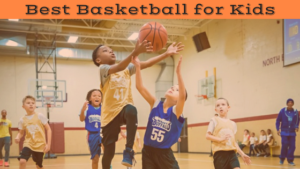 They provide a huge range of different basketballs for different abilities, ages, sizes – essentially they will have what you need. They also have an elite top-end of basketballs, producing some of the most well regarded balls available today. …The Rest of the Pack: There are, of course, numerous other brands which manufacture basketballs, and some of them do create good ones. Molten has a couple of good balls, as does Ribay. Fast-growing sports company Under Armour has also delved into the world of basketball production, and has some unique designs. These brands are certainly worth looking at, and produce some very good balls. In terms of quality and range though, Wilson and Spalding stand alone. 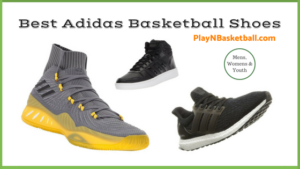 Choosing a basketball can be a relatively daunting process, due to the enormous number of products available all claiming to have the most feel, durability, and versatility. Obviously, this isn’t true of every ball, but it is true that the basketball you choose to purchase can have a significant impact on your enjoyment of the game. The best basketballs truly are able to improve your game, by giving you the grip necessary to pass smoothly, develop a more consistent jump shot, and allowing you to pull off more difficult handling moves. 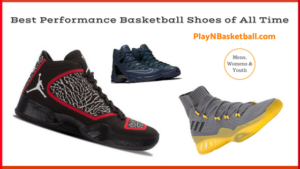 There are numerous factors, which you need to consider when determining the best basketball for you. Each of the following factors plays a major impact on the overall suitability of a basketball. Feel: the most important factor in this process is the feel of the ball. The “feel” stems from the materials used to produce the ball. In general, a softer feel will help you to maximise your talent, and this often comes from a leather exterior or a composite material which very closely resembles leather. Ultimately feel is unique to each of us. It depends how often you choose to replace your basketball. If it feels harder, somewhat slick and more difficult to grip, it’s time to treat yourself to a new basketball. Durability: it is also important to know that you can count on your ball remaining in good condition for a long time. A ball which starts out in fantastic shape but wears out very quickly is perhaps not as worth the price tag as one which will provide good quality use, game after game. Cost: often times you pay for what you get. Top quality balls with the finest material can be worth the extra expense. 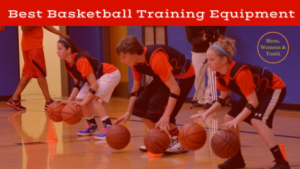 However, it depends on your needs and on if you want to have one ball for each court condition or one that the durability and support to play on any one of the best basketball hoops around. Versatility: the same ball may not be equally suitable for every player or court condition. Most of the best basketballs on the market are made of leather or composite leather, which is not recommended for excesses outdoor use. This is why it’s important to consider the type of floor or court you can use them on. If you need a ball to play on outdoor dirt court, for example, one that might also be left in the elements from time to time. Perhaps finding a basketball made of a more durable material, such as rubber, would be more appropriate. A better basketball should be able to make you a better player. 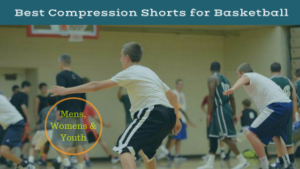 And with certain material – depending on how the basketball is made – like leather and rubber, lending to the performance of the ball, this will create more consistent jump shots and easier handling. Leather: leather basketballs are perhaps what you think of when you picture a basketball. It is the type of material used to produce basketballs used in professional associations and higher quality leagues. 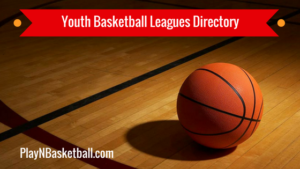 Leather basketballs provide perhaps the best feel of all the basketball types – though this may be a subjective idea, and there is nothing to say you have to prefer the feel of leather basketballs. Initially, these balls tend to feel quite hard, but after some use they do soften. These balls are also only for indoor use. The leather material cannot deal with repeated outdoor use on hard surfaces such as concrete, and the outer layer will gradually wear away. In summary, these balls have certain needs which may not suit what you are after, but if they do they have the capacity to be the most comfortable type of ball you will play with. Synthetic Leather: synthetic leather offers an alternative to leather balls, without drastically changing the feel of the basketball. They are created with a material, which is designed to feel similar to leather. This material is generally cheaper to produce than real leather, which obviously makes the basketballs themselves cheaper. These balls also differ from leather basketballs in that they are often suitable for both outdoor use and indoor use. As well as this, they don’t need to be ‘broken in’ in the same way as a leather ball does. Given their production is with synthetic leather though, they don’t tend to feel as soft as a genuine leather basketball, which some players may prefer. Rubber: rubber balls essentially provide a cheap and basic alternative to the two basketball types mentioned above. While they may not feel as nice as leather or synthetic leather balls, they do have certain benefits. Due to their rubber exterior, these balls are able to be used on all surfaces, from hardwood to concrete. They are also very durable, and are often the perfect choice for beginners. This is because they are cheap, last a long time, and can be used on a variety of surfaces. Further to this, the lack of soft feel which these balls have is unlikely to be as significant an issue for ballers who are just starting out. This is the time period when James Naismith (not to be mistaken for Lebron James) created the basis for the game. Since then, it has developed into a sport suitable for individuals of varying skill levels, sizes, and ages. The NBA, as well as other high quality professional leagues, showcase the talents of some of the most gifted athletes on the planet. For those of us who don’t quite fit into this category, the sport is also commonly played in a more social fashion. Another beauty of the game is that all you need is a ring and a ball to play the game, even if it is a diluted version of the sport such as 3 on 3, or just a general shootaround. Each style-of-play and unique court conditions dictate which ball is the right fit. Clearly there are a number of things to consider when purchasing a basketball. To summarise, the feel, durability, versatility, and cost are the four most important factors in making your decision. At times the number of options may be overwhelming, particularly when they are all purporting to be the best basketballs on the market. Hopefully, this breakdown narrowed it down, and have assisted you in making an informed buying decision to get the most out of your basketball talent.